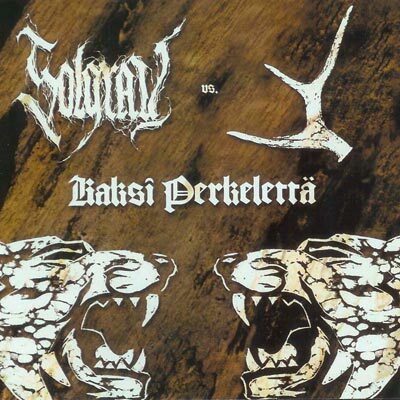 The split-CD between SOLGRAV and F (formerly known as FORNJOTR), which was planned a long time ago. Finnish Heathen/Wilderness Metal meets Finnish ultra-brutal Death Metal! Comes with fully coloured booklet and full lyrics. "Kristallitaivas" was originally released in SOLGRAV's first demo in 2002, and has now been re-recorded for this release.